Our customers can always rely on the professionalism and service of Binnie Mechanical. 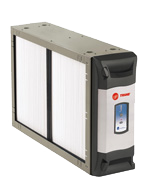 We have co-branded Binnie Mechanical with Oakville Home Comfort to be more easily identified as an Oakville based, residential heating and cooling specialist . Of course we are happy to provide our expertise to the surrounding areas as we have done in the past. 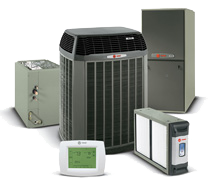 With us, you get the experience and knowledge of the best installers as we have been installing TRANE products longer than any other company in the Oakville area. Your family’s comfort is our top concern, and you can count on us to assess your needs and determine your ultimate home comfort solution. 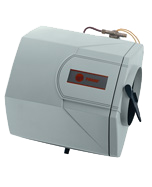 We will help you choose the furnace, air conditioning and other home comfort products that best suit your needs and your budget. You can also rely on us for the same care, maintenance and servicing of most furnaces and air conditioners regardless of the brand. 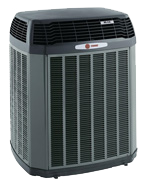 Trane has been a leader in home comfort products for over a century with energy efficient, environmentally friendly, reliable, quality equipment. Copyright 2009-2019 © Binnie Mechanical. All rights reserved.